In spite of Microsoft's attempts to convince the enterprise folks that the iPad is inadequate, iOS devices, and especially the iPad, are doing well in the enterprise market segment. Apparently, they're doing so well that RIM itself has fallen behind and SAP rolled out 1,000 iPads to its employees a few months ago. The recent additions in iOS 4 and 4.2 for business users surely helped along the way in getting iPhones and iPads into offices and large companies. But the iPad, thanks to its larger screen and notebook-like features, is set to produce even bigger results in 2011. According to Barclays Capital analyst Ben Reitzes, the iPad is "far ahead" of competitors in the tablet market; without setting up a salesforce, Apple is "listening to enterprise customers". More and more corporate users are quickly shifting to the iOS environment and, most of all, they are bringing these devices to work. The popularity of the App Store and the fact that thousands of applications are available and continually updated in the Business category helps these users install work-related software on their devices, which are also used for personal purposes. As Reitzes notes, this is "the consumerization of IT". And when the App Store doesn't provide the right tools to deploy applications on a large scale, wireless app distribution introduced in iOS 4.2 allows enterprises to host and wirelessly distribute their own in-house apps, both on WiFi and 3G. 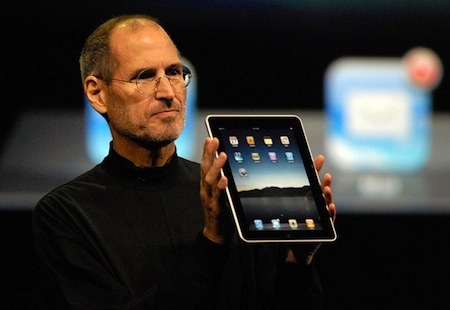 Last, Reitzes believes 47 million tablets will be sold in 2011, including 33.7 million iPads. Similar numbers were shared by analysts Wolf and Fidacaro earlier this week.